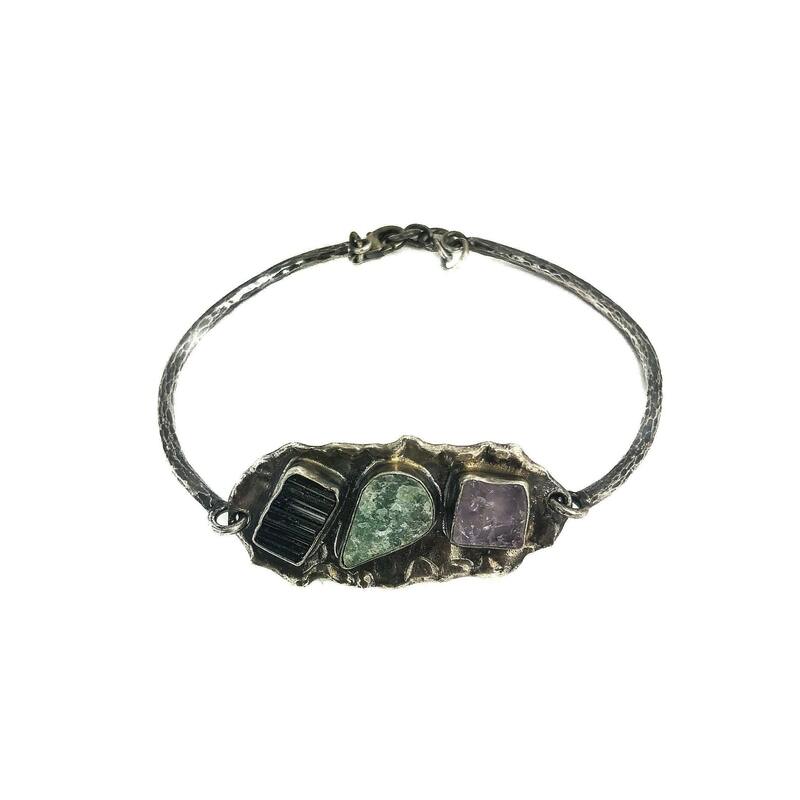 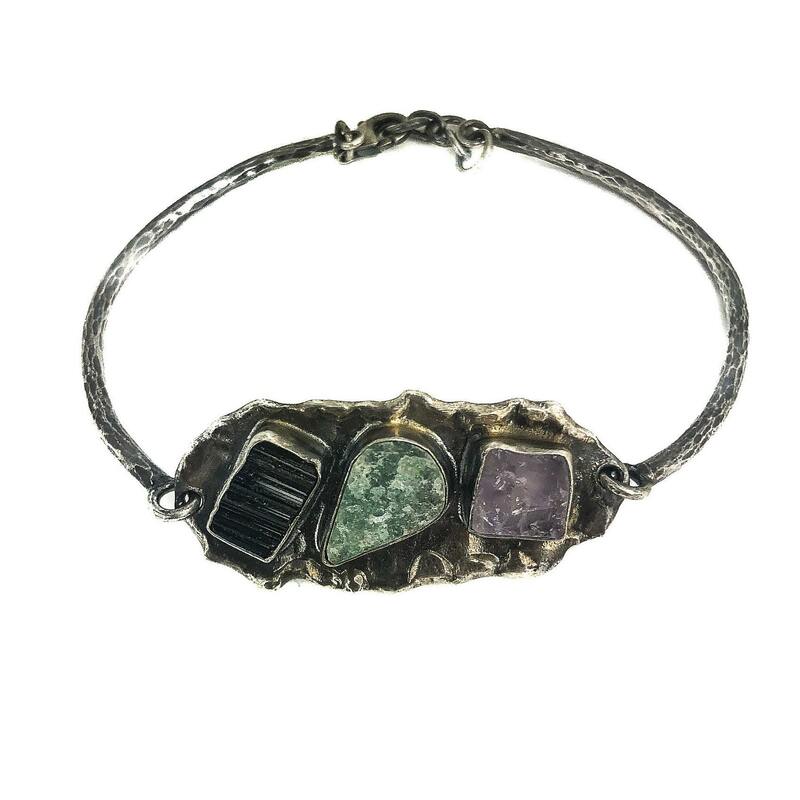 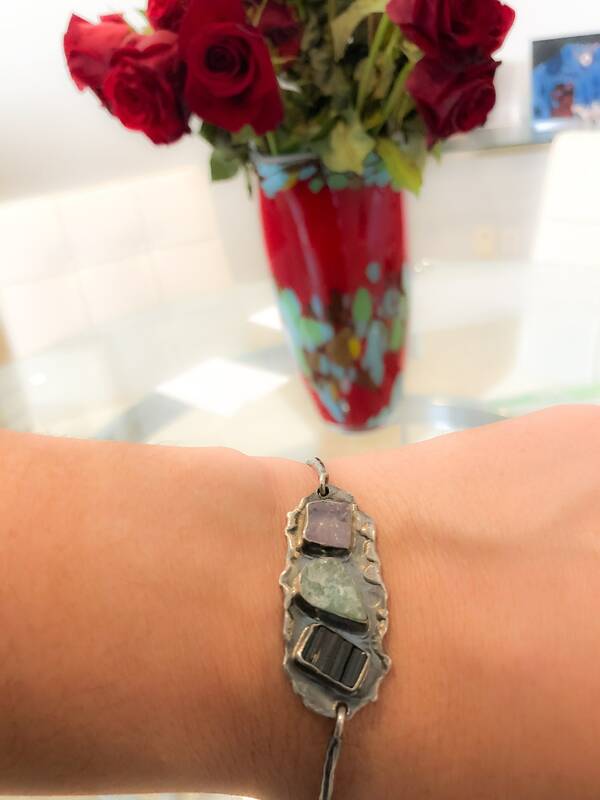 Hand made silver bracelet with raw fluorite, aventurine and black tourmaline . 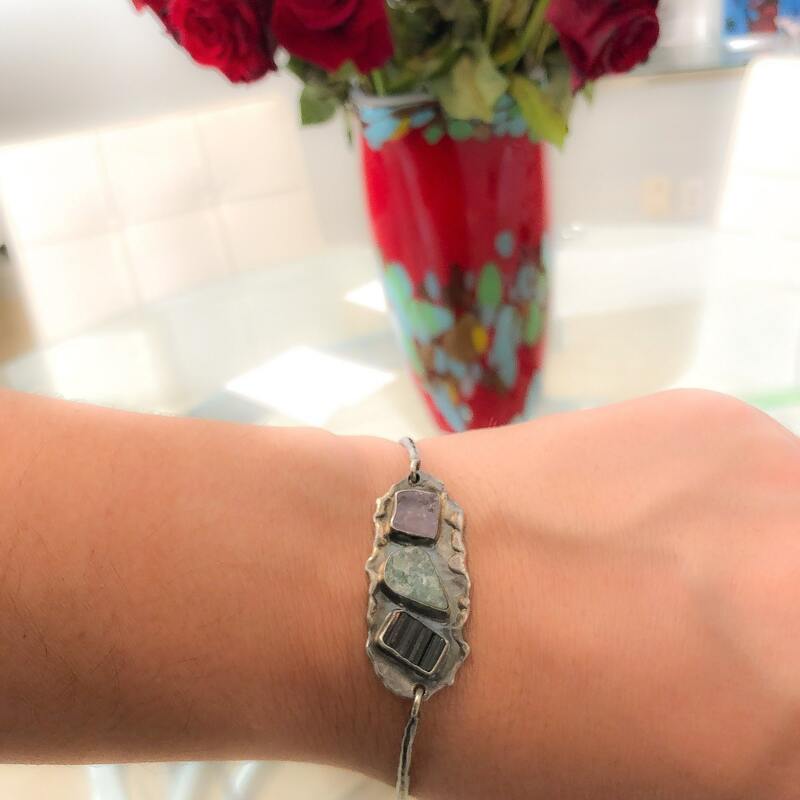 925 Sterling silver oxidized bracelet . 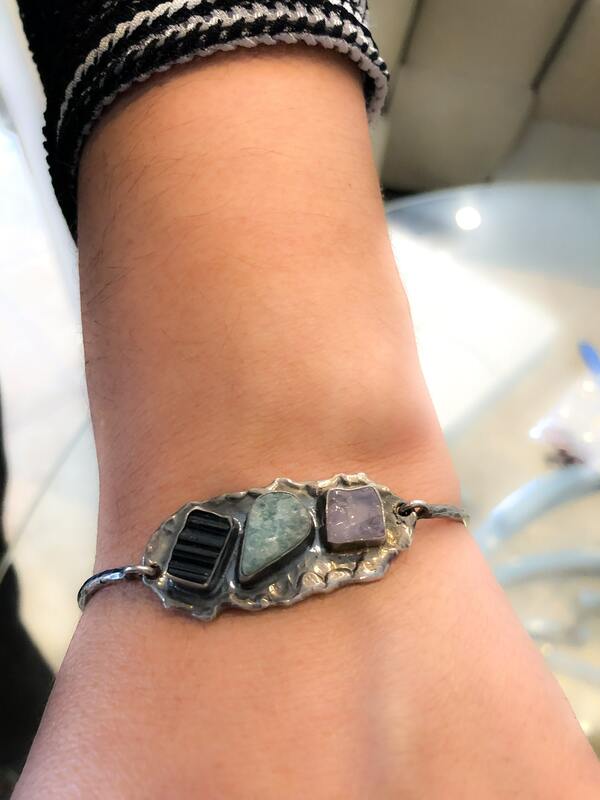 Amazing statement bracelet .